I’ve been immersed in Tania Hershman’s beautiful collection Some Of Us Glow More Than Others, and was struck with how elegant, creative and fantastical the stories seeded in science can be. 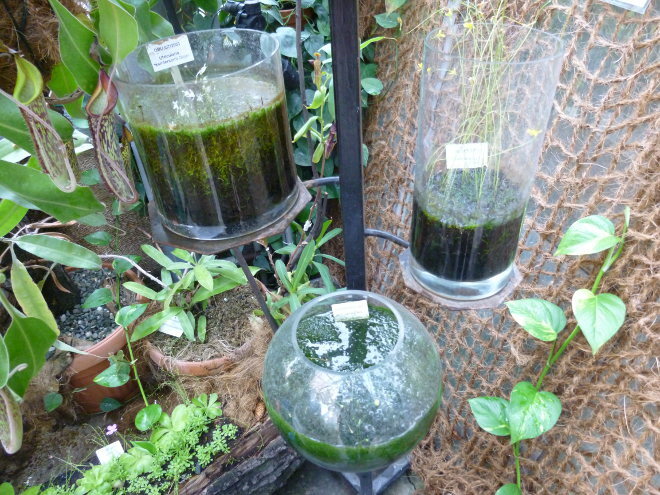 I took this photo in the palm house of Krakow Botanical Gardens, Poland. What concoctions could be brewing here? What investigations might be underway, and with what aim? How could you use that as the root of a tale? 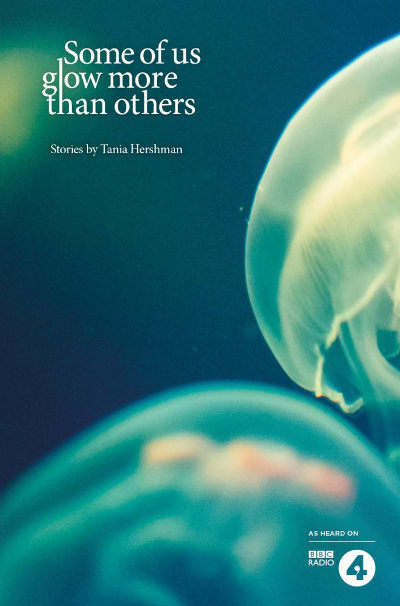 This luminescent collection of short stories and flash fictions offers up Tania Hershman’s unmistakable blend of the poetic, the uncanny and the deeply human. Drawing from a background in physics and a fascination with other sciences, Hershman explores our predilections and imperfections with effortless eloquence. Through her writing you’ll feel yourself at one with nuns, researchers and divers alike, not to mention gas molecules and eerie little immortal girls. I often see colours when reading fiction, and Tania’s tales in this collection are shot through with shimmering shades – pools of silver, midnight blue, aquamarine and ultramarine are gorgeously offset by threads of vermilion and gold. Each of the tales examines, in its own way, what it means to be human, and the potential kindnesses and cruelties lying in wait both around and within us. While many lead us into laboratories, other sneak us into more unexpected places of moral and quizzical reflection, sometimes under cover of darkness. Comprised of more than 50 ‘fictions’ covering no more than two pages in most cases, this is a collection of extraordinarily condensed riches. Each tales is like a tiny gasp inwards, comprised of such power you might find yourself reeling. I found too many favourites among the pages to mention them all here, but what astonished me most was the variety of voices and personalities parading past, many comprised of little more than a deft character sketch – so skilfully drawn they lived and breathed on the page, and making us care in those few words how they’ll live, die, whether they’ll be happy. ‘Dangerous Shoes’ does this especially well. I’m a frequent dipper into other writers’ websites, particularly those of authors who manage to faultlessly produce the kind of fiction I aspire too.